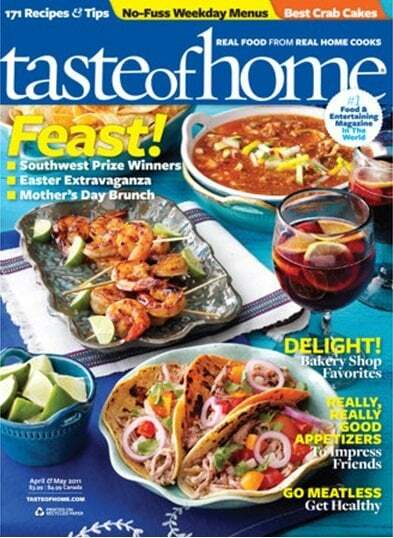 Discount Mags is offering a sale on Taste of Home Magazine. You can buy up to 4 years of a 1 year subscription for just $4.95/year. That’s 79% off the regular price for this magazine. This deal is available through Tuesday April 9, 2019 at midnight pst. Just use the coupon code: THRIFTYNWMOM at checkout to receive the discount. Taste of Home America s No. 1 cooking magazine takes a common sense approach to family-pleasing meals with family-tested favorites, hints on cooking for one or two, as well as meals on a budget for big families and more.